I've got all the titles as mp3 and all originals of the longplays. 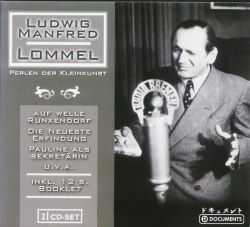 This double-CD was published in 2004 by Membran International GmbH (Hamburg) (UPC-No. 4011222220950)and can be ordered here. 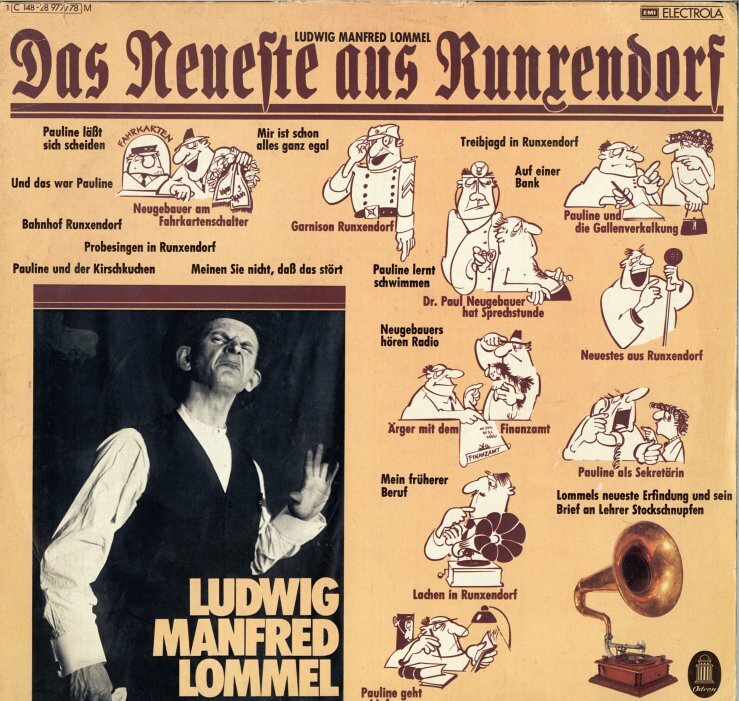 The recordings were recorded between 1928 and the mid 30ies. Publisher of the 33cm-Longplay was: EMI Electrola GmbH (1978). 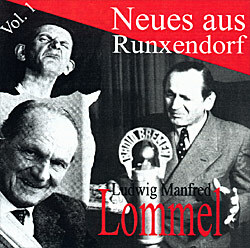 This double LP was published in 1993 also on CD (UPC-Nr. 7243-8-27385-2-7). This CD was published by the label Accoustic Arts (Kaiserslautern) and can be ordered here. 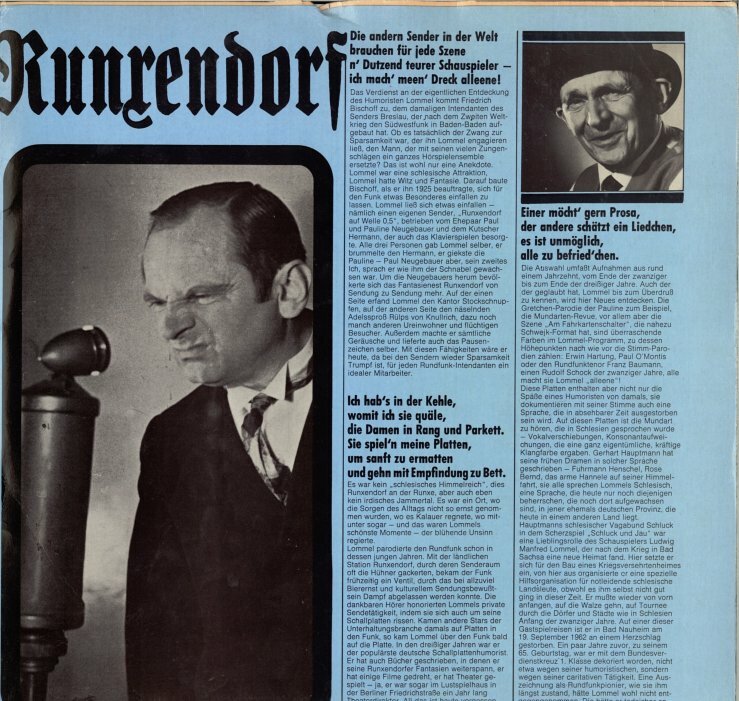 "This Runxendorf broadcast of 1953 was recorded just a few years before the voice of this imaginary broadcast bcame silent forever. In a way it is a bequest of the great Silesian humorist to all compatriots of Silesia wherever they may live today." 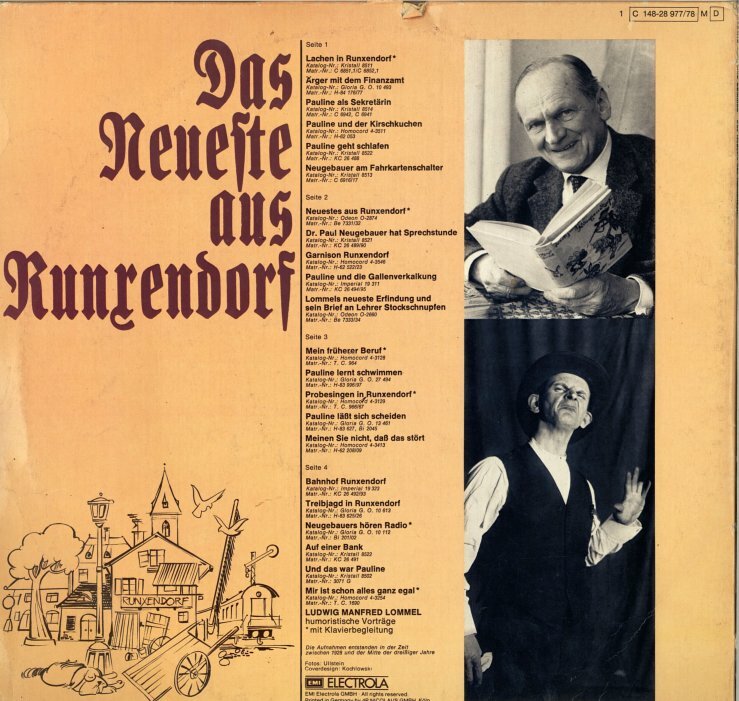 This recording originated in 1953 by Hessian broadcast (Hessischer Rundfunk). 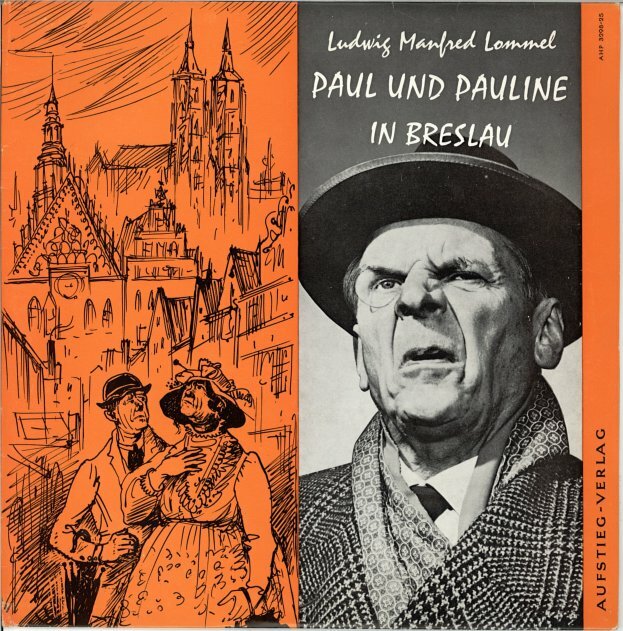 Publisher of the 25cm-Longplay was the publishing house Aufstieg-Verlag in Munich. 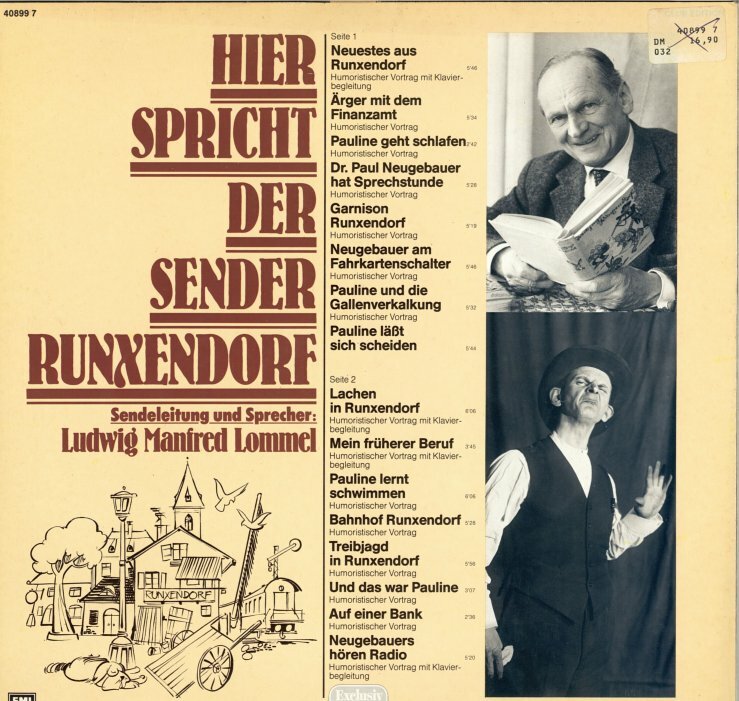 "The classical Runxendorf broadcast, being in Lommel's repertoire since the 1920ies, here in a last recording of 1954". !Not identical to the single recording with the same name (see singles)! This recording originated in 1954. 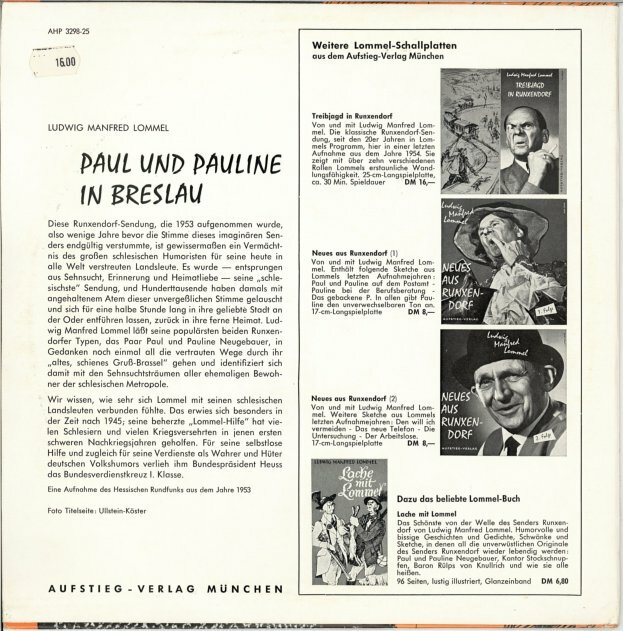 These recordings originated presumably in the 1950ies. Publisher of the 17cm-longplay was the publishing house Aufstieg-Verlag in Munich. 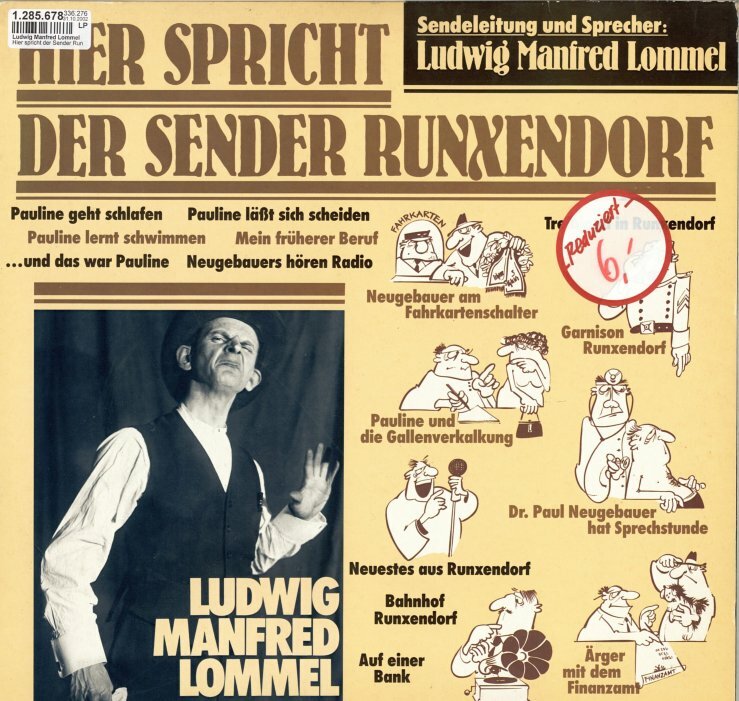 This longplay war a special edition of "Das Neueste aus Runxendorf" (EMI) for the Bertelsmann Club (a german mail-order club). 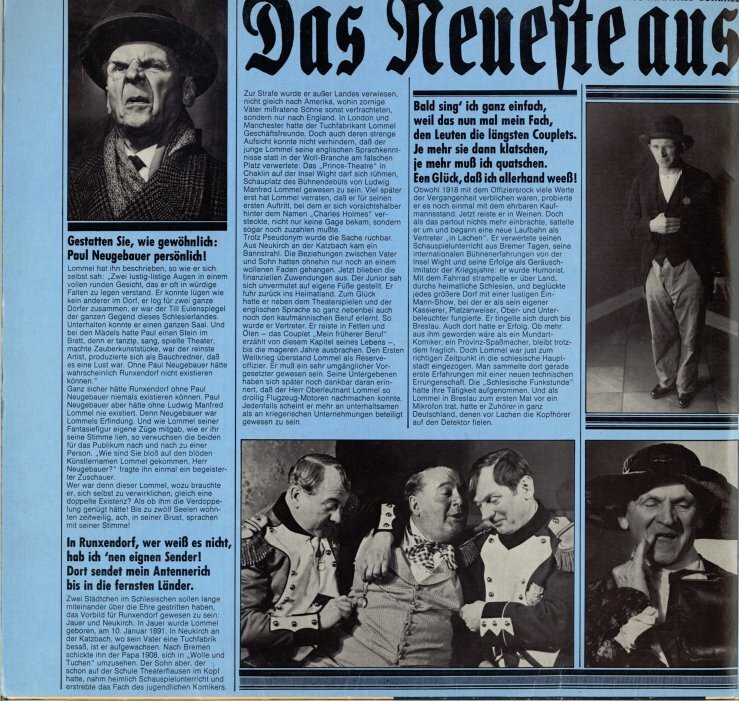 This 17cm-LP was a special edition of the Bertelsmann-Schallplattenring (a former german mail-order club).